Honestly, this wreath couldn't be any easier! I already had a straw heart wreath that I picked up at Goodwill several years ago. 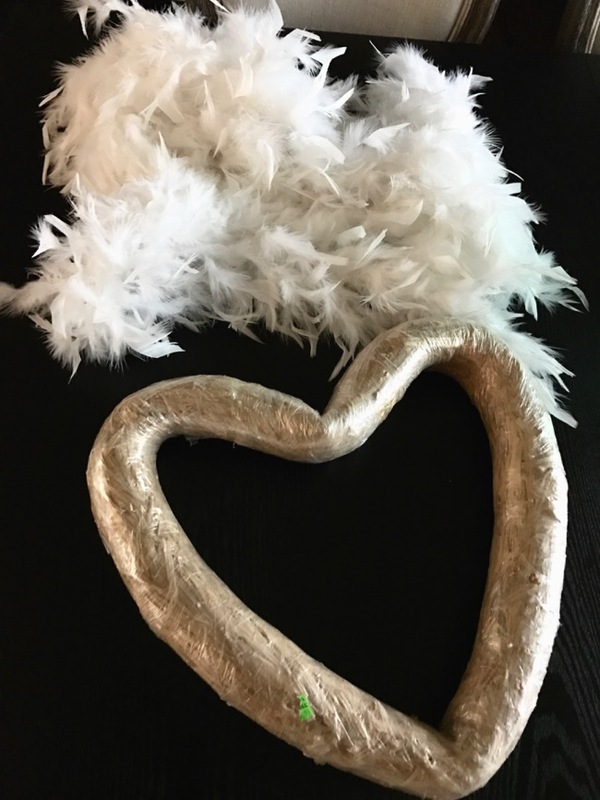 I picked up two feather boas at Joanne's. Boas weirdly cost more than you think! I used coupons and got both for $9 total, so not too bad. I honestly didn't shop around, so maybe you can get them cheaper elsewhere. I first tried wrapping the boas around the wreath, but I could still see a little brown though the feathers. So, I first wrapped the wreath in white ribbon I already had in my stash. 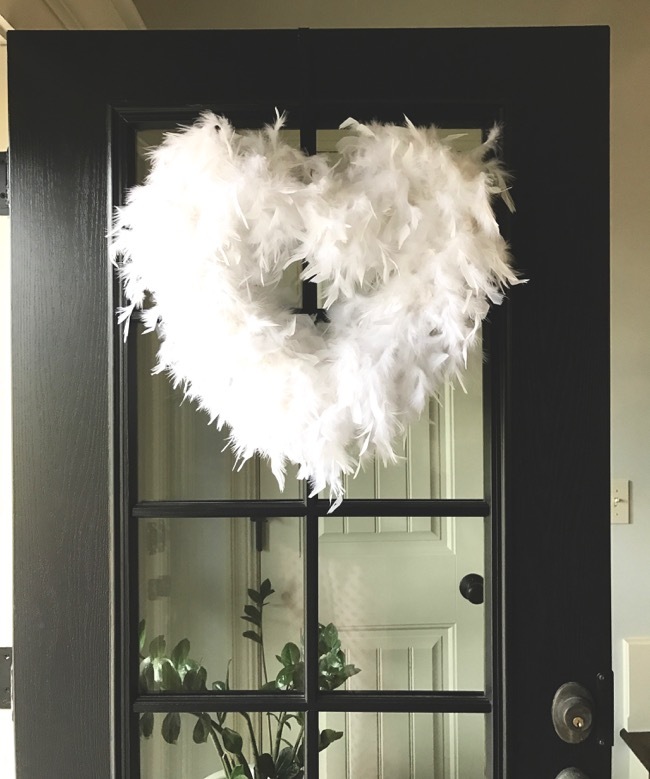 You could use felt or anything white really to wrap around this (if you are using white feathers, obviously). I used push pins to secure the ribbon on the back. Now I was ready to wrap the boas around. 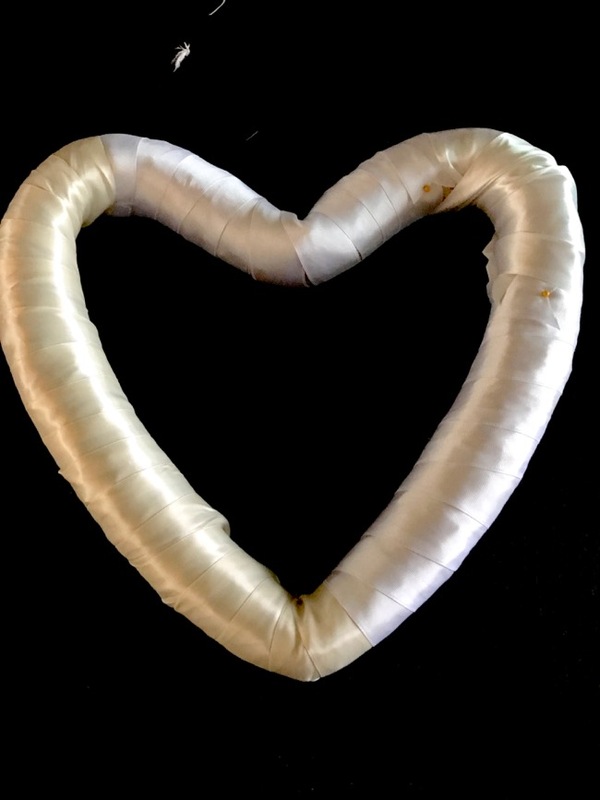 I secured the start with a pushpin and used one full boa for half the heart. I secured the end with another pin. Then repeat on the other side with second boa. This takes no time at all and it's ready to be hung! 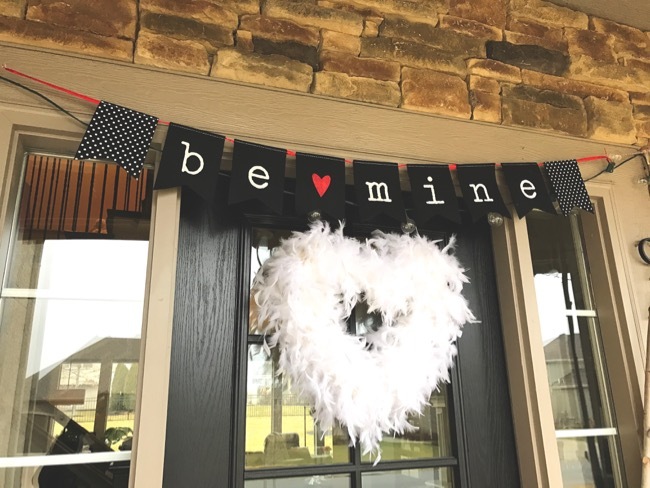 The "Be Mine" banner is from Target Dollar Spot a few years back. I love the whimsy of the feathers. I decided to leave the birch twigs propped up on the window and changed out the black and white pillows on the rockers to red/white striped ones. I can't quit the string lights on the porch either :), so those are staying up and come on every night with a timer. 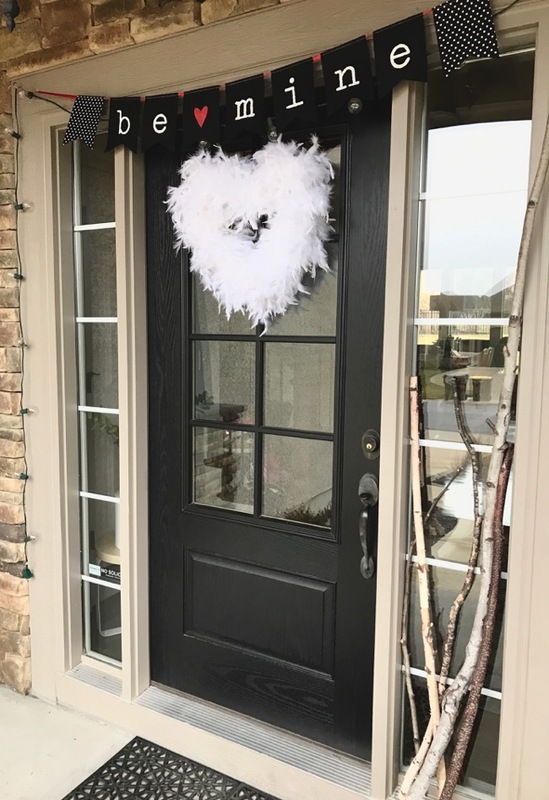 This is the only decorating I do for Valentine's Day, and I'm happy to switch up the porch again! 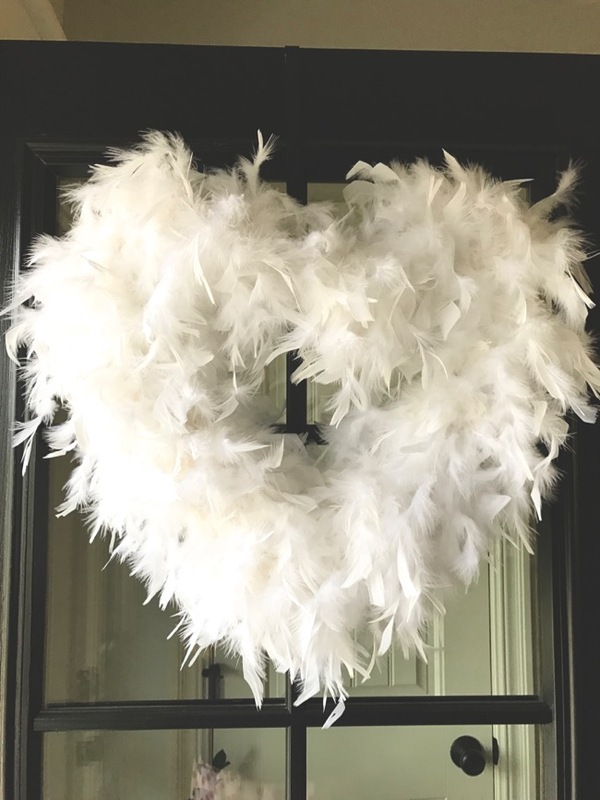 I love your DYI feather heart. I know it saved quite a bit of money. 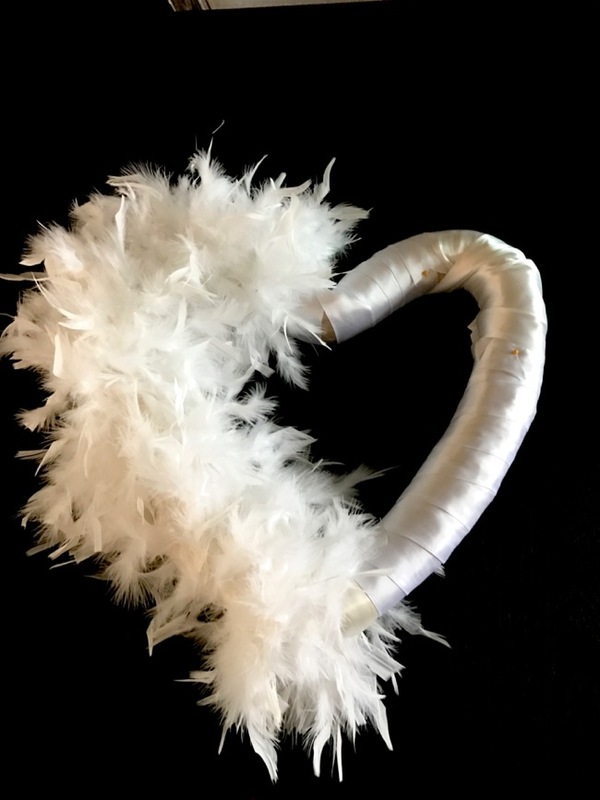 I have a read feather boa and I am inspired to do the same thing! I will send you some of our unseasonably warm weather. We have been above 70 degrees for days! In the deep south, you come to enjoy the cooler temperatures!